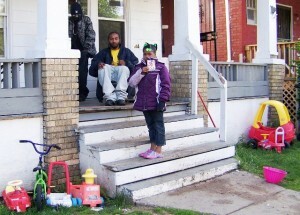 DETROIT – The first days of testimony in the trial of Detroit police officer Joseph Weekley for the killing of Aiyana Stanley-Jones, 7, three years ago, painted a chilling picture of the inhumane militarization of the Detroit Police Department for use in the poor, predominantly Black neighborhoods of the city. 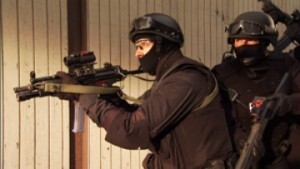 According to testimony, the raid involved “Special Response Team” officers in full black “battle dress uniform” (BDU), including flak vests and helmets, bullet-proof shields in one hand and MP5 submachine guns in the other, entering the house after throwing an incendiary grenade through the front window. They had led a procession of police cars to the house in a “Bearcat” armored tank. Only seconds into the raid, Weekley shot Aiyana through the top of her head. Aiyana’s father Charles Jones stands by blood-soaked couch where she died, under window shattered by grenade, the morning of her killing. As Stanley testified, the pink and purple Hannah Montana blanket Aiyana had been sleeping under lay on the floor in front of the witness stand after she identified it. Dominika Stanley on stand June 3, 2013. Other testimony identified the loud noises as the sound of a “flash-bang” grenade thrown through the window over which Aiyana and Mertilla were sleeping on the couch, and the discharge of an MP5 submachine gun fired by Weekley. During the audio portion of videotapes taken by A & E’s “First 48” TV crew, which were shown to the jury June 4, the grenade blast and two gunshots can be heard, followed shortly afterwards by what sounds like six more gunshots in rapid succession. 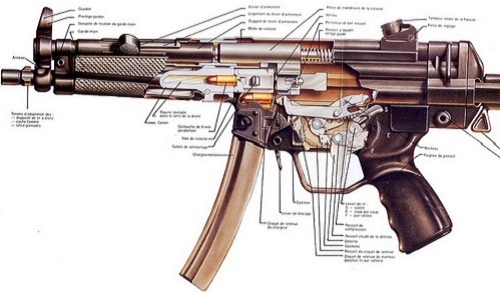 Depiction of MP5 paramilitary machine gun like that used by Weekley. The technician also testified that he later returned to the house to leave a copy of the search warrant, which had not been done earlier. During Stanley’s testimony, her father Jimmie Stanley, her uncle, and many others from her side of the family listened in sorrow, later expressing outrage at how she was treated during cross-examination. 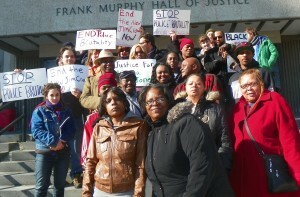 Jones and Stanley family members rally on courthouse steps March 8, 2013. Weekley’s attorney Steve Fishman grilled her about why she and her children had been staying at Mertilla Jones’ home on Lillibridge, where the SRT raid happened. Fishman asked her if she knew Chauncey Owens, who lived in the upstairs flat with Aiyana’s aunt LaKrystal Sanders, if she was told Owens killed Je’Rean Blake, 17, on May 14, and if she knew he had a criminal record. “Would you have let your children stay there if you knew that?” Fishman asked, essentially blaming her for her child’s death. He then grilled her about her earlier deposition in a civil suit brought by Charles Jones as personal representative of Aiyana, pointing out supposed discrepancies. Depositions of family members in the civil suit were taken by the City of Detroit before Prosecutor Moran intervened, preventing the depositions of officers involved and blocking any further progress on the suit. 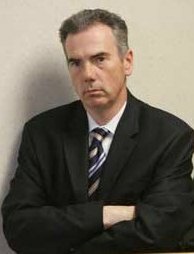 The family reported that Moran did not go over their pending testimony with them until one and a half weeks prior to the beginning of the trial May 28. 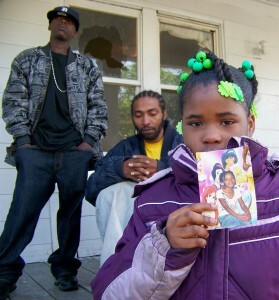 They said they had not spoken with anyone from the prosecutor’s office during the years since Aiyana’s death. Several months ago, family members went to the office to ask to speak with Moran, and were promptly thrown out of the building by police. Family members said no victim’s advocate has ever been assigned to them, although many clearly still need grief counseling. 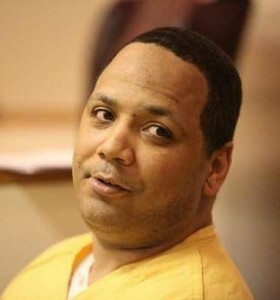 Both Moran and Fishman, in their opening statements and later during testimony, focused extensively on the killing of Je’Rean Blake, as if Chauncey Owens had already been convicted. He is, however, still awaiting trial on first-degree murder charges in the case. According to previous court records, however, independent witnesses said a large crowd of about 40 young people was in the parking lot of the store that day. Others from the neighborhood have said that the teens had a habit of challenging older men entering the store. One acquaintance of Blake’s told VOD that he belonged to a gang, although she said that did not justify anyone’s death. 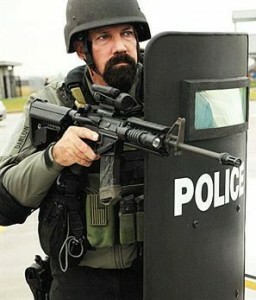 Joseph Weekley on Detroit SWAT website. In his opening statement, Moran said Weekley was solely responsible for Aiyana’s killing, but stressed that it was not deliberate. He said SRT officers are extensively trained in raid tactics, including “trigger discipline,” and that Weekley’s gun could not have fired unless he pulled its trigger, which is specially fashioned to require a strong pull. He did not give any motive for Weekley’s firing the gun, leaving the floor open for Fishman to contend that Weekley should have been charged with first-degree murder if he deliberately pulled the trigger. Fishman contended that Mertilla Jones knocked into Weekley’s gun, and that she has given several different versions of how he killed Aiyana, essentially blaming her for Aiyana’s death. 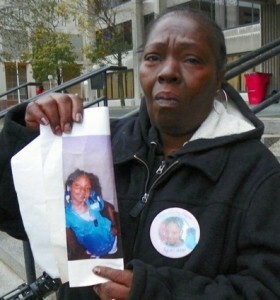 Mertilla Jones with photo of Aiyana. Mertilla Jones is expected to testify June 5, and is likely to face a grueling cross-examination from Fishman. She has been in poor health, and is grieving for the loss of two of her sisters since Aiyana’s death. She has also been suffering what is likely post-traumatic stress syndrome after watching her grandchild shot to death in front of her eyes. Detroit Police Homicide Sergeants LaTonya Brooks and Robert LaLone testified in detail June 4 about the military operation, which took place only one and a half days after Blake’s death, following a hurried and apparently faulty investigation. Their testimony was supplemented by portions of the videotape shot by A & E’s “First 48” crew, which was shadowing the squads with the permission of “higher-ups” in the department, according to Brooks. 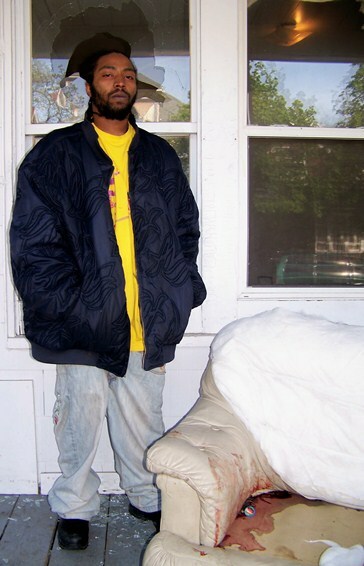 The “First 48” had a Detroit crew which specifically targeted situations where homicide suspects are detained in the first 48 hours after the crime. 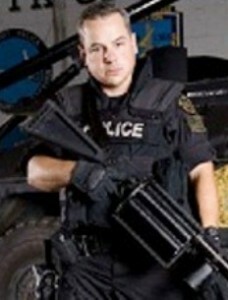 Officer Weekley and other members of what was originally called “Detroit SWAT” are featured as stars on A&E’s website. Toys in the front of the porch are also seen in evidence photos shown to jury at trial, but Moran did not point out the toys. Blood stains on the porch and sidewalk were pointed out by an evidence technician in separate testimony. 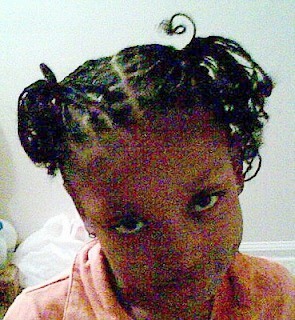 They resulted from SRT officers rushing Aiyana out of the house before her family could see and hold her as she died. Photo taken May 16, 2010 by Diane Bukowski. A prime topic of discussion during the testimony and during portions of the videotape was whether any children were present in the house. Brooks already knew Mertilla Jones’ family, having been the officer in charge of the earlier prosecution of Jones’ son Norbert Jones, and likely knew that many children were part of the large extended Jones family. Jones has eight children, and 22 grandchildren, many of whom frequently visit her at her house. Brooks was asked, and discussion was held during a videotaped briefing just before the raid, about the presence of children. Brooks denied seeing any during a brief drive-by. 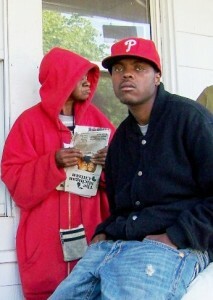 JoAnn Robinson and her grandson Mark Robinson the morning of Aiyana’s killing. Mark said he told the raid team children were in the house. JoAnn was in the house at the time of the raid, and died a year later partly out of grief. However, she testified that when homicide and SRT arrived at the house for the raid, she was assigned to take charge of Mark Robinson, a grandson of Mertilla’s sister JoAnn Robinson. An officer had thrown him to the ground while he was returning to the house from walking his dogs. Robinson said at a press conference held by Attorney Geoffrey Fieger shortly after Aiyana’s death that he told the officers there were children in the house. When officers came out of the house with Aiyana in their arms, Brooks said Robinon told her, “They shot Aiyana.” She told him that had not happened. She also said that a family member, who VOD has found was Aiyana’s aunt, LaKrystal Sanders, came out and tapped her on the shoulder because she knew her from her brother Norbert Jones’ case. Sanders asked if Aiyana was alright. Brooks said she later discovered Aiyana had been killed, but could not remember who told her. 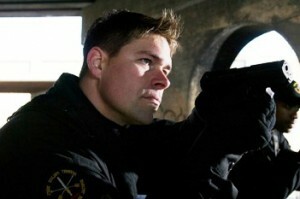 SRT member Tim “Malibu”:Dollinger/ photo from A&E website. During Lalone’s testimony, other portions of the videotape were played including parts of the briefing. An officer, likely SRT member Timothy Dollinger according to testimony, is asked whether there are any kids in the house. He fails to say yes or no. Photos of the house taken during surveillance and shown to the jury showed a tricyle and other toys to the side of the front porch, but neither the prosecution nor the defense pointed out the toys during their exams of the witnesses. The toys were still there later that morning when this reporter went to the scene to interview the family. 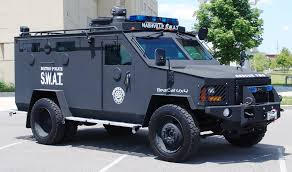 Bearcat style armored vehicle like that used by SRT team in Jones raid. References are also heard on the videotapes to “baby’s daddy,” and other derogatory, racially-loaded terms about the family and neighborhood during the briefing. One officer says they have no arrest warrant yet for Owens, but plan to get it once he is “in custody.” Another says a source says Owens has an AK-47, that the house is owned by the city due to non-payment of taxes (the house was rented), and that it “looks like narcotic activity” is taking place there. The officers joke that Owens was supposed to be going to the Motown “Hoedown” that evening, but apparently “ixnayed” that plan. They say he has an “extensive” criminal history, including violent assaults. Officer with shield in one hand and submachine gun in the other, as testimony showed Weekley entered the house. According to court records, charges of assault with intent to kill and operating a chop shop against Owens were dismissed earlier, while other charges from 1998, 2003 and 2005 involve motor vehicle violations for which the defendant received sentences of probation. Owens never served time in the state prison system, as one officer implied, and has no drug charges or b and e’s on his record according to the Third Judicial Circuit Court website. SRT officer Raymond Trammell testified that while assigned to direct surveillance of the home, he saw Owens and another man exit the premises and walk a half-block distance to E. Canfield. He said Owens, who was walking in the street, passed directly by his car. He said he did not arrest Owens because he was “not comfortable” since Owens was a murder suspect, and that the job was assigned to another “take-down” unit. Brooks testified that it was the Homicide Division’s common practice to use SRT as their “enforcers” in executing search warrants. She said that after two witnesses identified Owens as the shooter in the Blake case, activities proceeded with lightning speed. A search warrant was signed by 36th District Court Judge Sidney Barthwell at his home shortly before the May 16 raid. She and other officers said the search warrant was for both the upper and lower flats at 4054 and 4056 Lillibridge, since Chauncey Owens had been seen coming out of both entrances. According to the Brooks, a staging area was established at Wayne County Community College off I-94 and Conner, where both Homicide and SRT members were briefed. On the videotapes, officers are heard being told at 12:26:19 a.m. May 16 where the nearest hospital, St. John’s, is and how to get there. The raid takes place at 12:43 a.m.